View More In Divided Trays & Platters. 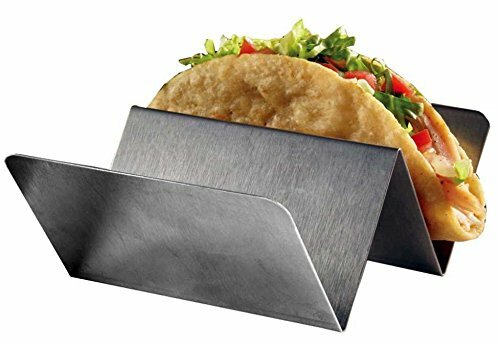 The RiversEdge Products Stainless Taco Holders is made from type 430 stainless with a #3 polish. The 4" x 4" x 2" size is room enough for up to 2 tacos. There are 10 taco holders in this pack. PLEASE NOTE: We have also have a single pack available. Dishwasher safe. Will last a long, long time. If you have any questions about this product by RiversEdge Products, contact us by completing and submitting the form below. If you are looking for a specif part number, please include it with your message.